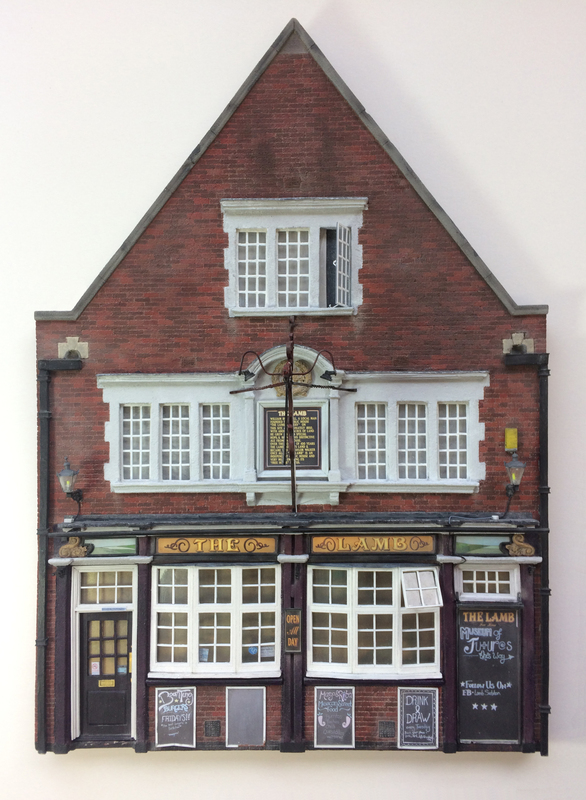 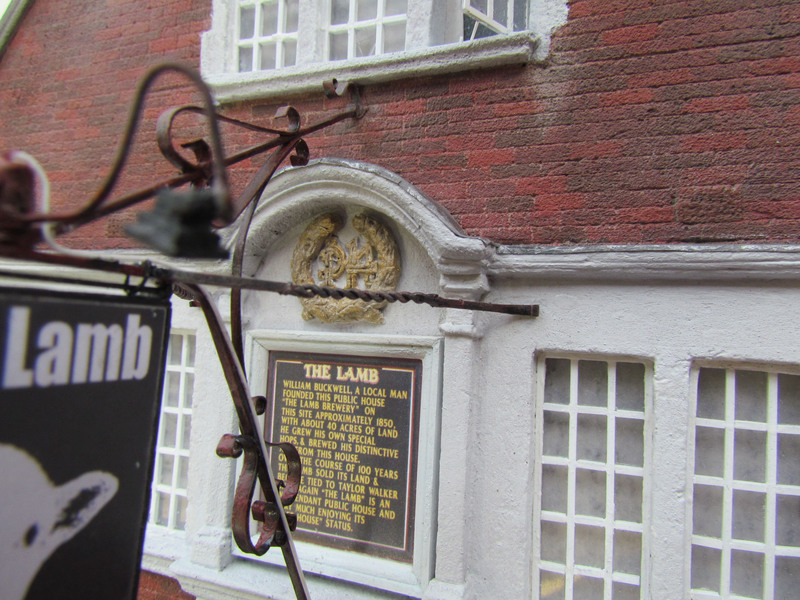 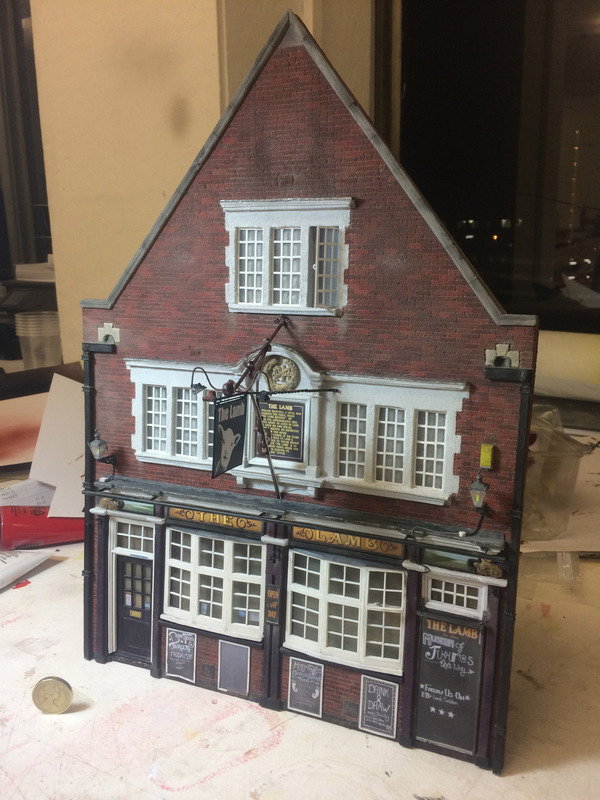 Built at 1:30 scale, the model is a relief of the front of The Lamb Pub. 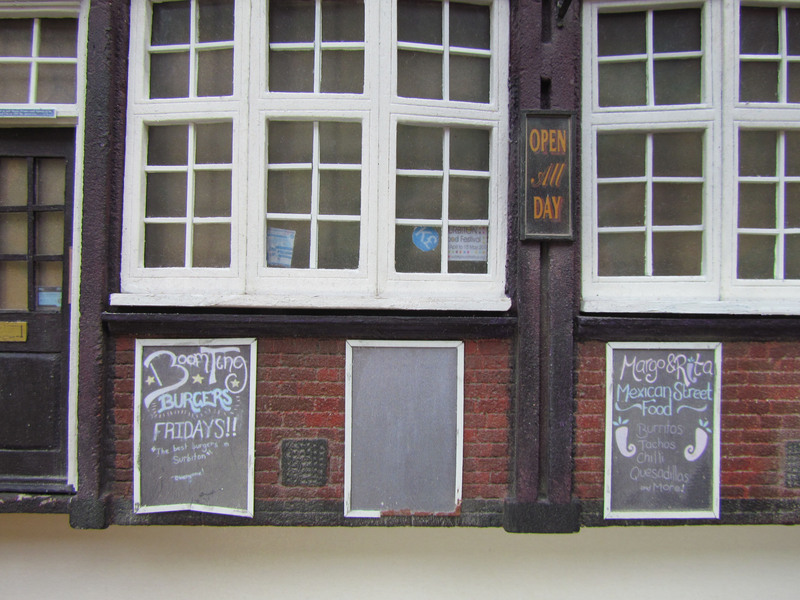 Detail is extensively captured, from signs and brickwork, to drainpipes and window stickers. 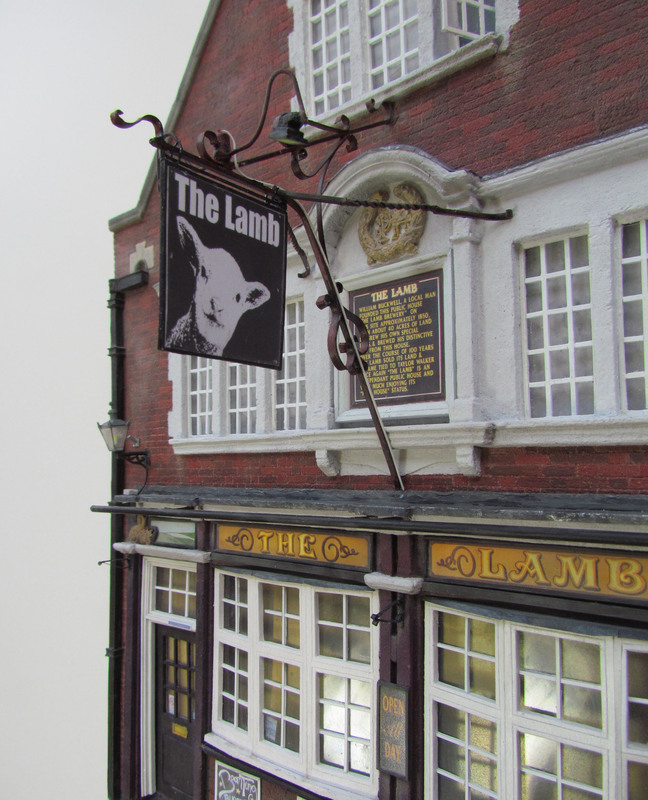 The model is on display in The Lamb pub, on Brighton Road in Surbiton.